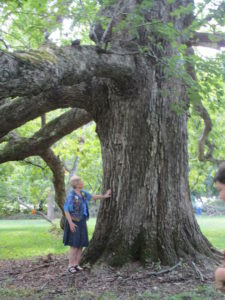 One emotional moment for me was stopping by the Big Tree at Island Grove, Illinois. We stretched our arms around that huge tree—it took six people to span the trunk, We looked up into that mighty tree, and prayed by it. Some even climbed up into the tree, nestling in its protective arms. It gave me chills to know our dear Potawatomi saw this same tree, and may well have sheltered under it on their stop at Island Grove in 1838, We were invited to bring acorns back with us, which we did. 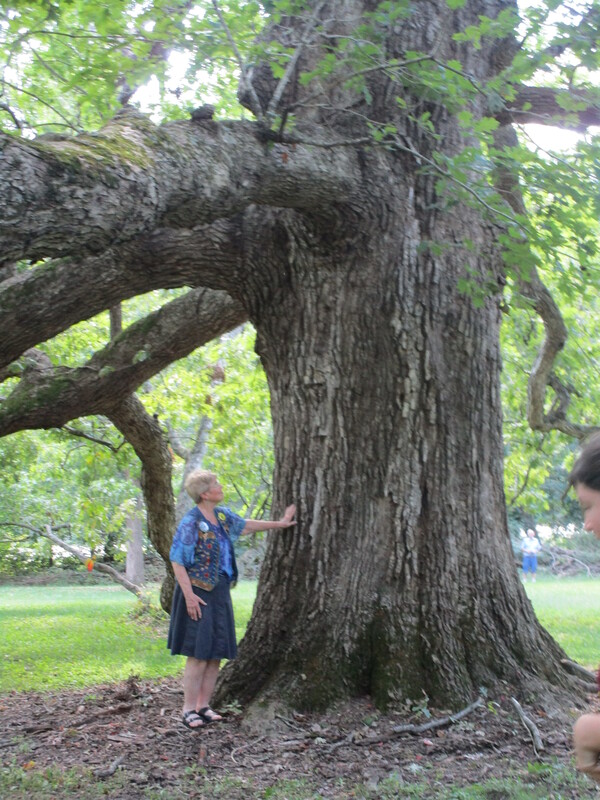 Now many of our families will plant an acorn from that ancient tree, remembering our journey.